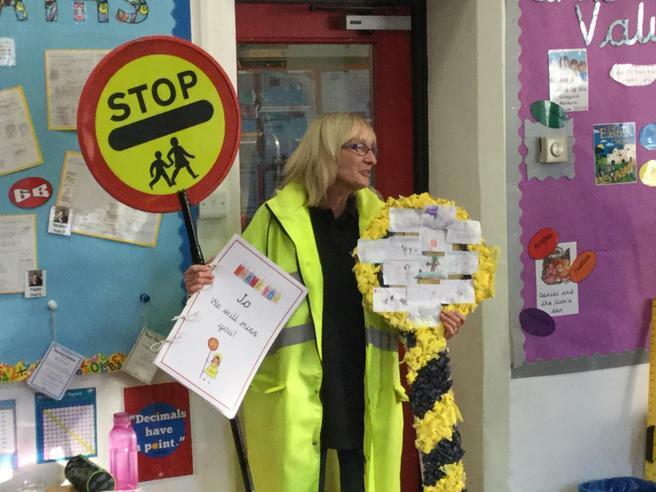 After 30 years of service we sadly said goodbye to Jo as our School Crossing Patrol on Friday 3rd November. 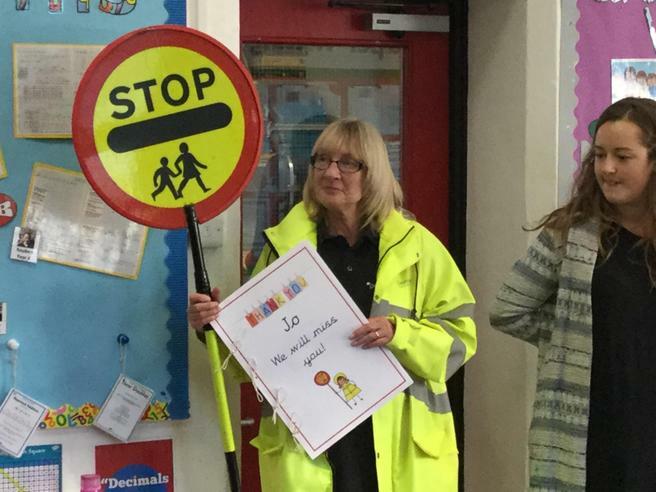 She will still be carrying out her caretaker/cleaner duties within the school but will no longer been seen out in the road. 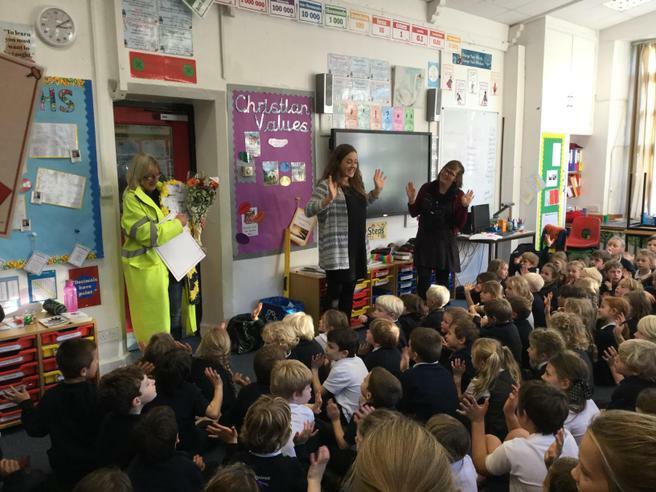 We want to say a massive thank you to Jo for everything she has contributed to the School over the many years of service. 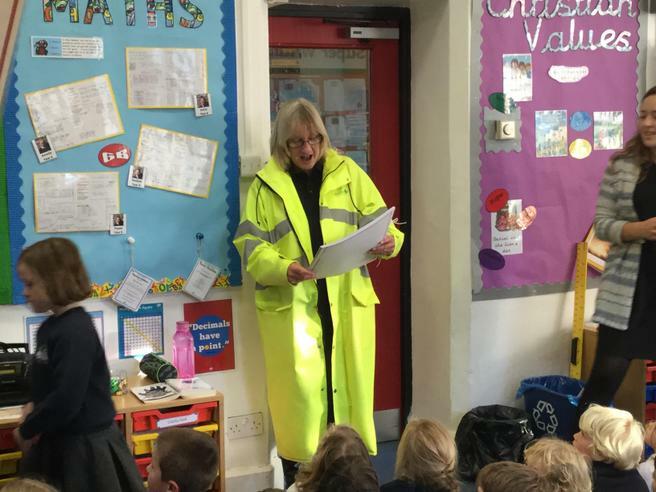 We held a lovely service for Jo on Friday afternoon where the children had the opportunity to say their farewells and thanks for everything Jo has done for the school. Please see the photographs on our website of the celebration. We will be holding another celebration for Jo during the Christingle Service on Thursday 14th December from 5.30pm, we hope to see you all there.